Woohoo! I got accepted for Maribyrnong City Council’s Artist in Residency program for the Artsbox 2017! My first residency- how exciting! 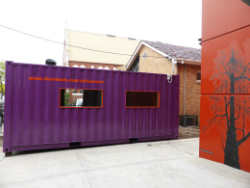 For three weeks in the month of December, 2017, with a little help from the community, I'll be in Footscray at the Artsbox creating an installation that reflects the diversity and cohesion of the City of Maribyrnong.